Divorce is often emotionally traumatic. According to the Florida Association of Family and Conciliatory Courts, more than one-quarter of divorces in Florida are high-conflict splits. Understandably, many people have less than positive feelings about their former spouse immediately following the end of their marriage. Although making angry statements might make a divorcees feel better in the short-term, such words can potentially inflict lasting harm on a couple's children. Research studies allege that children are more likely to suffer negative outcomes following a high-conflict divorce. Parental hostility is reportedly associated with low self-esteem, insecurity, sexual promiscuity, substance abuse, and an increased likelihood for dropping out of school. In order to protect children, Licensed Psychotherapist Allyson Tomchin states parents should focus on engaging in effective co-parenting. Tomchin believes co-parenting can reduce parental conflict and increase the effectiveness of both parents. Although Tomchin says there is not a single way to effectively co-parent, some rules of thumb include being respectful of your child's other parent, maintaining a focus on your child while communicating with your former spouse, and being flexible with regard to sharing your child's time. Additionally, Tomchin suggests that parents ensure children are out of earshot when venting about an ex-spouse and anytime financial or court-related matters are discussed. In some situations, effective co-parenting may mean consulting a mediator, therapist, or attorney. If you or your former spouse cannot maintain a civil relationship, a number of online programs are also available to help you coordinate your child's time and share information with his or her other parent. 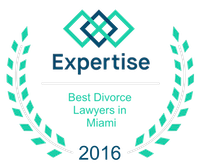 Since 2008, all divorcing parents in the State of Florida are required to adhere to a parenting plan that includes a time sharing schedule. A time sharing schedule will specify which parent a child will spend weekdays, weekends, holidays, and other life events with. Although divorcing parents are encouraged to negotiate a parenting plan, a Florida Family Court will impose a plan on parents who are unable to come to an agreement. When creating a parenting plan, the court will look to a number of statutory factors, including the mental and physical health of each parent, each individual's moral fitness, a parent's capacity to provide a stable routine for the couple's child, and other factors. If you have questions about child custody and time sharing agreements, you should contact a quality family lawyer today. 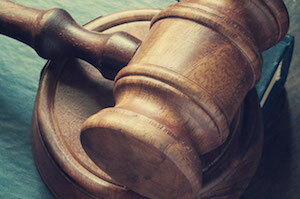 At the Law Firm of Vilar Law, P.A., our hardworking attorneys focus their practice exclusively on family law matters. Our capable lawyers are here to help you with all of your family law needs, including child custody and support, legal separation agreements, complex divorces, equitable distribution, spousal support agreements, paternity, prenuptial contracts, post-judgment enforcement and modification, and domestic violence. The Law Firm of Vilar Law, P.A. represents clients who are located throughout Miami. To discuss your child custody or other family law issue with a dedicated advocate, please give attorney Patrick Vilar a call at (305) 373-8000 or contact them through the law firm's website.